Ruifeng began playing chess at five years old. He placed second in the World Youth Chess Championships U-10 section in 2011 and was invited to participate in the Young Stars program, a chess training program coached by Garry Kasparov. 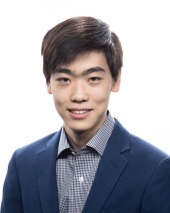 Ruifeng received his IM title in 2015 and his Grandmaster title in 2017. 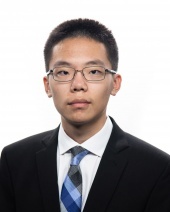 Some of Ruifeng’s greatest chess accomplishments include major open tournament wins, such the 2018 and 2016 Philadelphia Opens. He also tied for first in both the 2017 and 2016 North American Opens. Additional notable victories include the 2016 North American Junior Chess Championship and 2016 National Open. 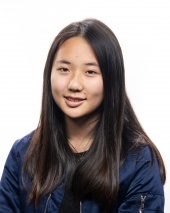 Born in Madison, Wisconsin on April 9, 2003, Awonder Liang is the reigning U.S. Junior Chess Champion and hopes to defend his title again this year. He is currently the number one chess player in the world for age by FIDE rating. Awonder is also a two time world youth chess champion for the open section, as well as creator and keeper of many youth chess records. 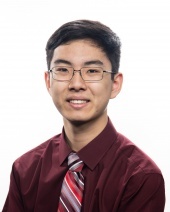 Andrew Tang became the first Minnesota homegrown Grandmaster (GM) in November 2017 after tying for first at the Fall Charlotte GM Norm Invitational. He started playing chess in preschool, and earned the National Master title in sixth grade. 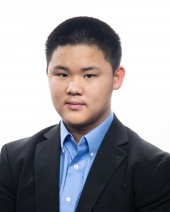 He earned his International Master (IM) title in August 2014 when he won the North American Junior Chess Championship in Canada as the eighth seed with a dominating score of 7.5/9. Other achievements include tying for first at the 2015 Pan American Junior Championship in El Salvador, becoming a 2016 National High School and 2017 SuperNationals VI K-12 co-champion, and winning the Minnesota State Championship in 2017 and 2018. This is his second time playing in the U.S. Junior Championship in Saint Louis. John Burke earned his Grandmaster title in April 2018. John is a resident of Brick, NJ, and has earned multiple New Jersey State championships, as well as multiple U.S. Chess All-American team designations. John has played at the Saint Louis Chess Club many times before and finished in first place in the 2017 Saint Louis Invitational. Akshat started playing chess at the age of around 9 1/2 years. 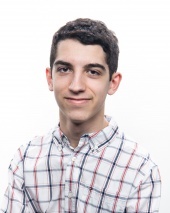 He has recorded one of the fastest rises in the history of world chess when his chess rating climbed steeply from 1548 to a GM rating of 2500 in under 5 ½ years. 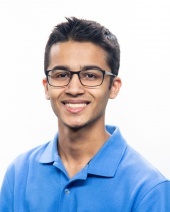 Notable achievements for Akshat include winning the 2015 U.S. Junior Chess Championship in his first appearance and taking first in both the 2015 National High School Chess Championship as well as the National High School Blitz Championship. 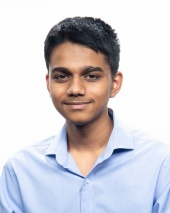 Since 2014, at age 14, Akshat has been the #1 ranked Junior Rapid Chess player in the country. Advait learned how to play chess when he was seven years old in India. He played his first tournament at eight and began to compete frequently after that. 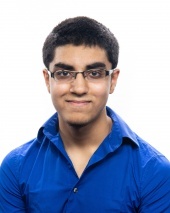 Advait won several scholastic tournaments including state championships, nationals, and eventually the Barber. He now lives in Oklahoma and will be a high school senior next semester. Mika Brattain is currently a National Master. He is 19 years old and lives in Lexington MA. Mika is excited to play in the 2018 U.S. Junior Championships. IM Praveen Balakrishnan is the 2017 Denker Champion and is also the current Virginia State Champion. Praveen also won the Cadet Championship in 2016. He also led his high school team, Thomas Jefferson High School of Science and Technology of Virginia, to Championship titles in both the blitz and main categories at the National High School Championships held in Columbus, Ohio this year. He won the individual blitz title in that event as well. Alex began playing chess at age five. After going 5 and 0 at his first tournament, his passion for chess began. During the 2009 Supernationals IV, his first-place team finish and third place individual finish in the K3 section netted him a college scholarship. In 2013, he took first place in the U14 section at the North America Youth Chess Championships, earning an FIDE Master (FM) title at age 13. 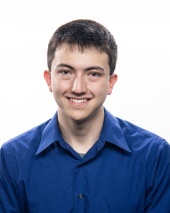 His most recent accomplishments include winning the U2300 section at the National Open two summers ago and passing 2400, as well as winning the 2017 Junior Open last summer. Alex will be a freshman at the University of California Berkeley this fall, and this is his first time playing at the U.S. Junior Championship Tournament in Saint Louis. Annie Wang started playing chess when she was five, after being introduced to the game at a simultaneous exhibition in a nearby park. She is the reigning world champion for girls under 16, having won the GU-16 section of the 2017 World Youth Chess Championships with a score of 10.5/11. Her other accomplishments include placing second, after an exciting playoff against IM Nazi Paikize, at the 2018 U.S. Women's Championship and earning a bronze medal at the 2016 World Youth Chess Championships. In 2014, at the age of 11, Annie broke Irina Krush's record for the youngest female national master in the US; later that same year, she won the North American Youth Chess Championships for girls under 18, despite being only 12 at the time. Throughout the last few years, Annie has been promoting chess by running a free chess program for kids at a local library and volunteering in numerous chess-related activities. Today, Annie lives in Los Angeles, California, where she attends high school. Outside of chess, she plays the piano and enjoys reading, running, and spending time with her friends.